About Dr. Farrah Hauke - Dr. Farrah Hauke, Psy.D. Dr. Farrah Hauke, Psy.D. is a licensed clinical psychologist practicing in Scottsdale, Arizona. She provides coaching, counseling, and evaluation services to adolescents (12 and older) and adults of all ages. She believes every client is unique and deserves individualized treatment that is empathetic and and solution-focused. Dr. Hauke has extensive experience treating anxiety, depression, compulsive behavior, emotional eating, weight loss struggles, obesity, relationship problems, personality disorders, and more. Dr. Hauke has worked in multiple correctional, in-patient, and private practice settings as well as with various government and state agencies. 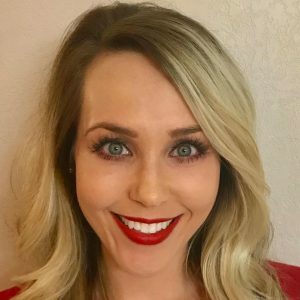 She is well trained in a variety of psychotherapeutic techniques, including Cognitive Behavioral Therapy (CBT) and Dialectical Behavior Therapy (DBT), psychological evaluations, and leadership/management practices. Dr. Hauke has been a repeat guest on various local news channels discussing topics related to stress, communication, and family dynamics. Her psychological expertise in treating anxiety, weight loss and obesity, depression, and interpersonal dysfunction has been featured in Cosmopolitan Magazine, Reader’s Digest, and MyFitnessPal, as well as numerous other nationally distributed news and blog outlets. Dr. Hauke also teaches psychological weight-loss strategies at health clinics across the valley. She routinely consults with nutrition, medical, and fitness experts to provide the best care possible to her clients. She has presented at Arizona State University, the Phoenix Veterans Administration, and the Arizona State Hospital, as well for local training agencies and student groups. In her personal life, she enjoys teaching group fitness classes, spending time with her family and friends, and exploring beautiful Arizona. If you are ready to face your challenges and get help reaching your goals, please call or email today. Therapy with Dr. Hauke will help provide you with the tools you need to start building a healthier and more emotionally balanced life. Click here to learn more about what to expect in therapy. Dr. Farrah Hauke provides therapy and evaluations for clients living in Scottsdale, Paradise Valley, Tempe, Mesa, Phoenix, Gilbert, Fountain Hills, Chandler, Glendale, Peoria, Apache Junction, Sun City, El Mirage, Surprise, Avondale, Goodyear, and others in the Thomas/Hayden area. If you struggling with anxiety, depression, binge eating, low self-esteem, obesity, weight loss struggles, relationship problems, borderline personality disorder, or other mental health challenges, take the first step towards getting help: Call now to make an appointment, or just fill out the contact form and click Send.